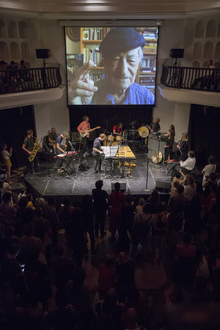 In 1954 in New York City, two displaced persons from Lithuania, Adolfas and Jonas Mekas, founded a film magazine that would come to shape the discourse about the intersections among cinema, society and the arts in the United States and beyond. Between 1955 to 1996, Film Culture became a unique platform for exchanges between filmmakers and audiences, theory and practice, cinema and art. 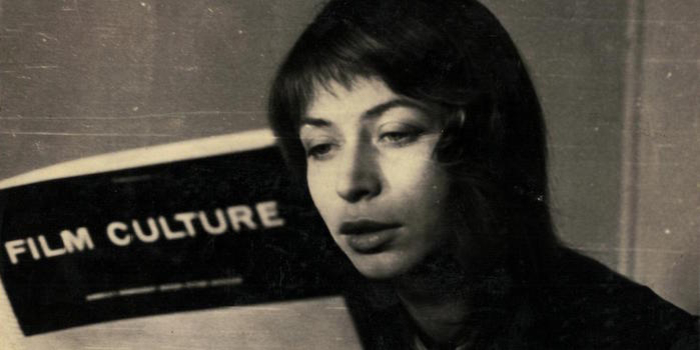 Attending to the European avant-garde, Soviet revolutionary cinema, auteurs in Europe and Hollywood, Film Culture featured an eclectic mix of interviews, manifestos, film analyses, poetry and photo essays. 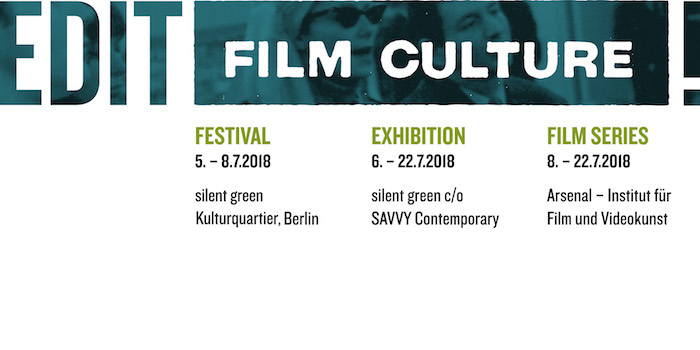 Over twenty years since the magazine ceased publication, silent green Film Feld Forschung returned to the story of the magazine to ask what it means to edit film culture today. 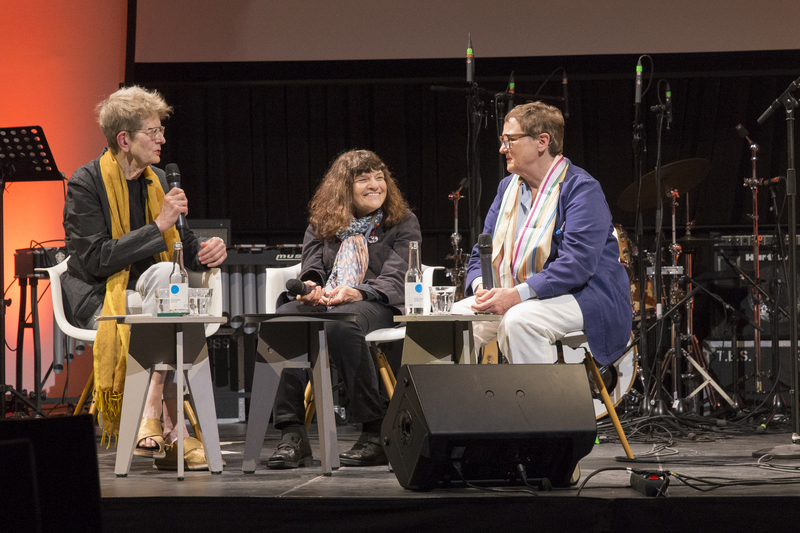 Talks by scholars and filmmakers drew out the relevance of Film Culture and the constellation of interdisciplinary arts events and institutions within its orbit for thinking about the development of contemporary film cultures in various localities. What is the significance of writing about film, whether in print or online, to the constitution of artistic communities today? 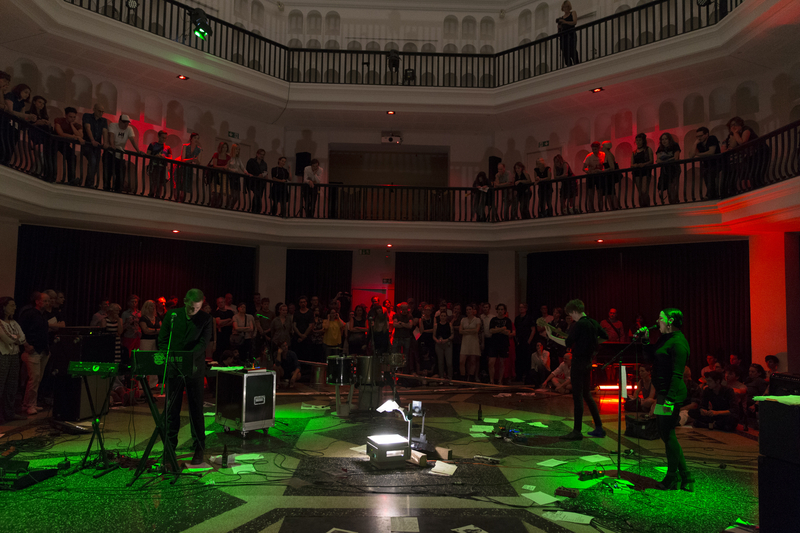 In an opening night concert, Gina D'Orio and Susanne Sachsse with Robin Behling and Anton Garber edited selected texts from Film Culture magazine in a mad, moody music performance. 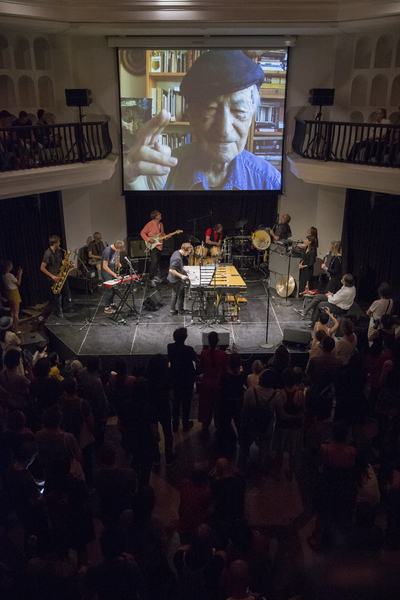 There was also be a rare concert featuring a solo set by Sonic Youth‘s Thurston Moore, followed by an 11-piece band of Jonas Mekas's friends and longtime collaborators who will provide a live soundtrack to Mekas's most recent feature film OUTTAKES FROM THE LIFE OF A HAPPY MAN. 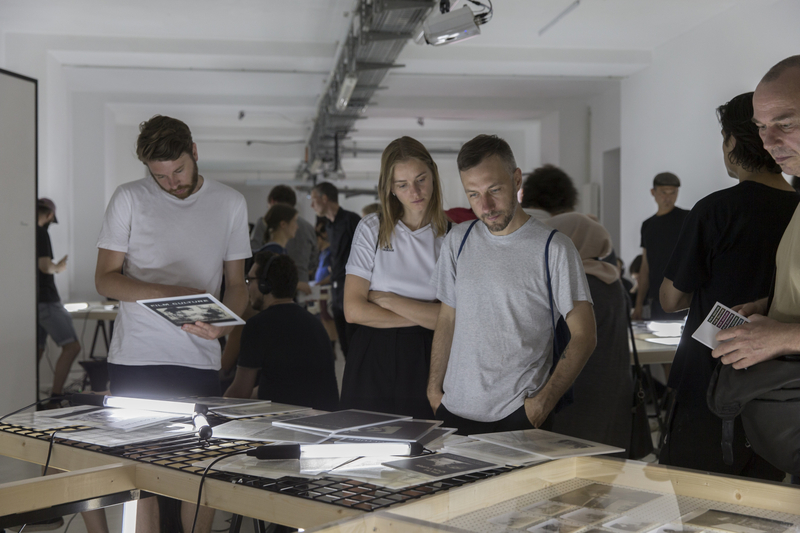 The spaces of SAVVY Contemporary were home to an exhibition, temporary library, and installations. 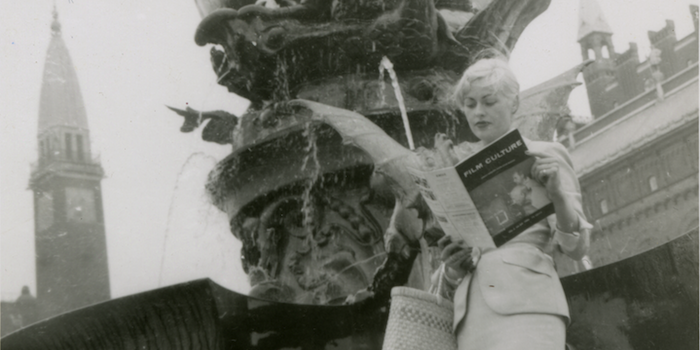 The exhibition investigated the production and design history of Film Culture magazine, as well as the many films, activities, and institutions that developed around it. In particular the show addressed the work of Shirley Clarke, Maya Deren, Robert Frank, George Maciunas, Jonas Mekas, Hans Richter, Jack Smith, Andy Warhol and Joyce Wieland among others. 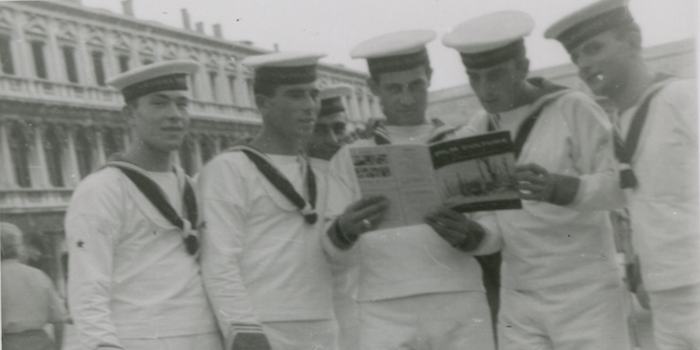 The temporary library made all 79 issues of the magazine available for first-hand inspection and research. Departing from the example of Film Culture, SAVVY Contemporary presented the multi-channel installation United Screens, curated by Abhishek Nilamber (with associate curator Kamila Metwaly). 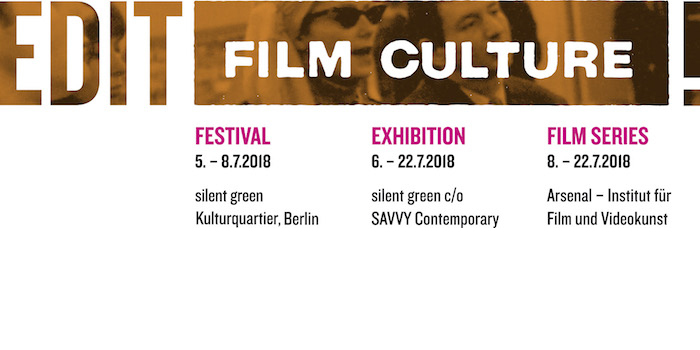 The installation is the first stage of a long-term research-exhibition project observing contemporary alternative film cultures in postcolonial regions. The current stage of the project chronicles contemporary Indian alternative ecosystems. 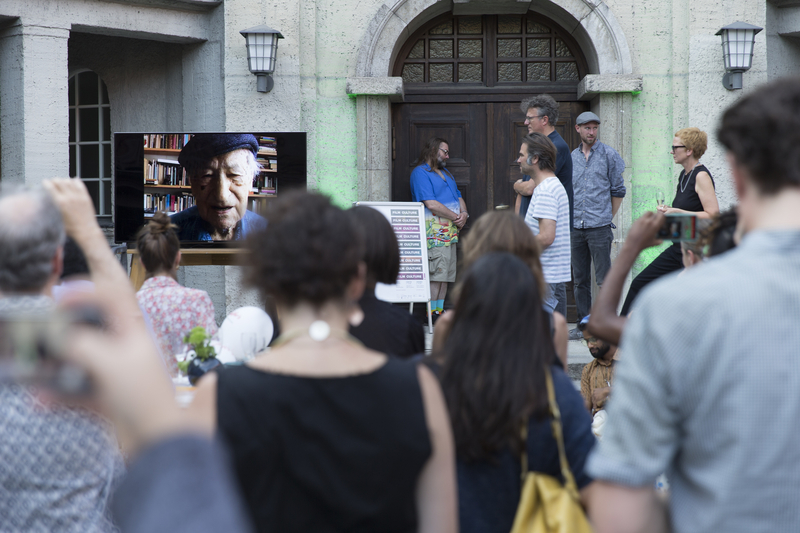 A film series at Kino Arsenal highlighted a diversity of artistic approaches to filmmaking associated with Film Culture magazine. 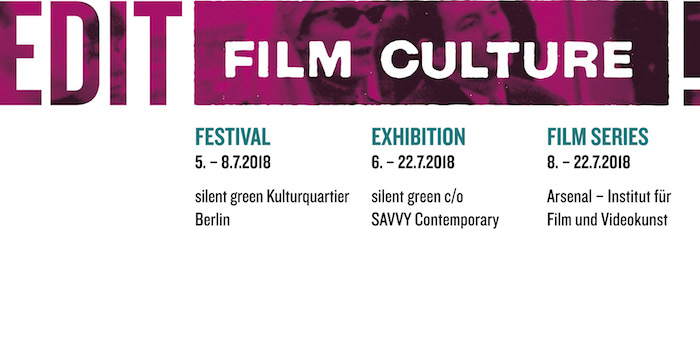 The series placed particular emphasis on the historical programs of avant-garde film curated in the 1980s by longtime employee at the Arsenal – Institute for Film and Video Art (then Freunde der Deutschen Kinemathek) Alf Bold, who died of AIDS in 1993. In the framework of Edit Film Culture!, Spector Books presented Film Culture 80: The Legend of Barbara Rubin, a new issue of the magazine dedicated to the work and biography of the infamous figure behind the New York underground's most sexually explicit film Christmas on Earth (1963), a pioneering work of expanded cinema. 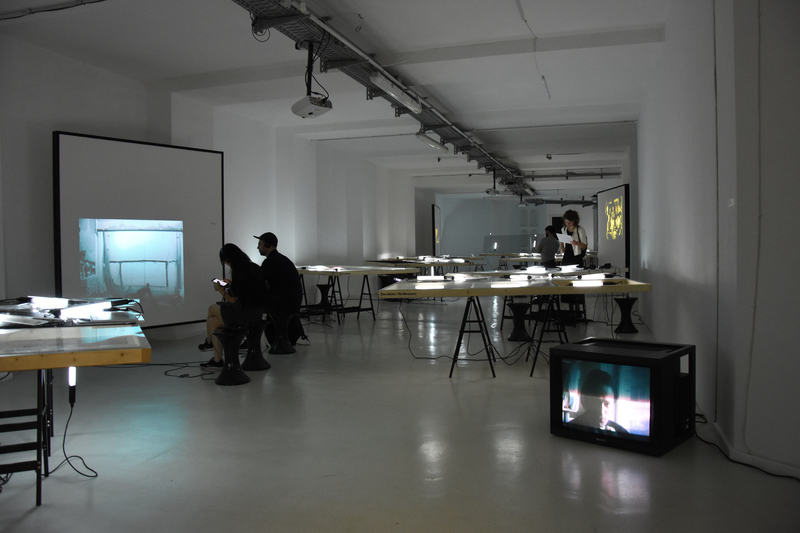 The Harun Farocki Institut (HaFi, Berlin) presented Filmkritik 335-336 (Nov.-Dez. 1984), a special issue of this important German film magazine that is dedicated to filmmaker Emile de Antonio, a key figure in the New American Cinema. For financial reasons, this issue of Filmkritik, although laid out and proofed, was never printed. It was published for the first time in the context of Edit Film Culture!